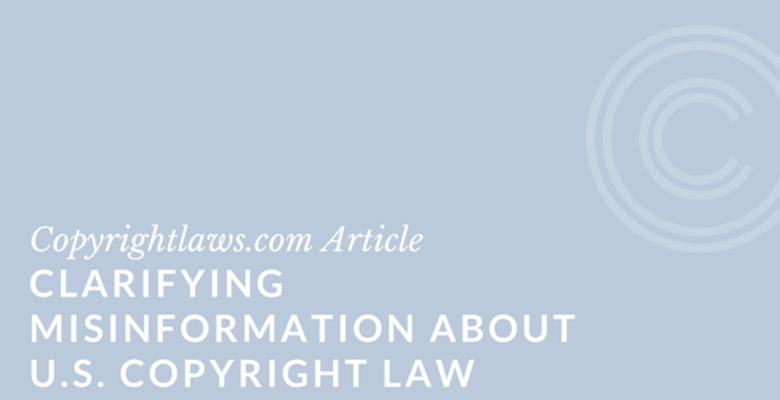 The discussion below assists in clarifying misinformation about U.S. copyright law. What’s the Reason Behind These Commonly Misunderstood U.S. Copyright Concepts? In 1989, U.S. copyright law changed regarding automatic protection, copyright registration and use of the copyright symbol. This is largely the reason these three concepts remain misunderstood even today. These changes were implemented in order for the U.S. to join the leading copyright treaty, the Berne Convention, on 1 March 1989. The U.S. is now one of the 176 countries that adhere to the Berne Convention and provides the Convention’s minimum copyright provisions in its own copyright act. Click to see a list of all Berne Member countries. 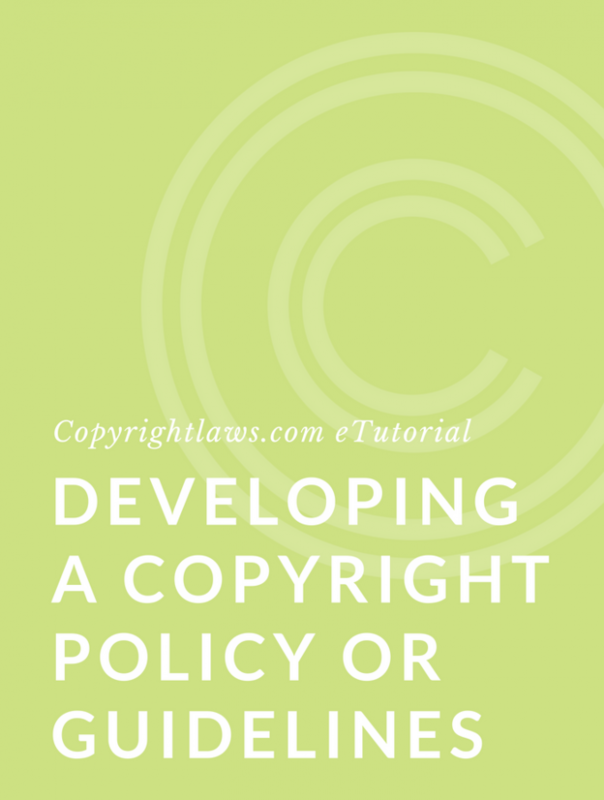 Read to below to understand more about these three misunderstood U.S. copyright principles and see our practical tips relating to them. Copyright protection is automatic in the U.S. Once you create an original work and write it on paper, musically notate it, or save it on your computer or a data stick, the work has immediate and automatic copyright protection. As of 1989, you don’t need to register the work or deposit a copy of it with the U.S. Copyright Office, or even use the copyright symbol to have automatic copyright protection. Once a work is automatically protected in the U.S., it’s protected in all countries that are members of the Berne Convention. Click to see further information about the Berne Convention and international copyright law. Tip: If you’re reproducing, sharing or republishing images, text and other copyright works, start with the assumption that they’re protected by copyright. Do your copyright research homework. If the work is in the public domain, you can freely use it (e.g., U.S. government works, or older works in which the copyright duration has expired). Also, check for any licenses. Is there a Creative Commons license on the work and do the terms and conditions of the license meet your needs? Does your enterprise already have permission to use the work? The terms and conditions of an existing license may allow your current use without obtaining further permission from the copyright owner. You’re no longer required to use the well-known copyright symbol, ©, or include a copyright notice on your work. However, doing so is recommended. Why? It reminds people that copyright exists in your work and may deter some unauthorized uses of it. Your copyright notice may also include your contact information to make it easier for people to reach you to ask permission to use your work. For more information about the international copyright symbol and to properly use it, click here. Tip: It’s easy enough to place a copyright symbol on your images or articles, so if you’re a copyright owner, consider the advantages of doing so. If you’re using someone else’s video, document, image or other work, keep in mind that it may be protected by copyright even if there’s no copyright symbol placed on it. Always do your research to determine if you require permission to reproduce, share or republish it. U.S. copyright law no longer requires registration or deposit of your work. However, doing these things provides certain benefits if you ever have to enforce your rights. Registration is necessary if you’re a U.S. citizen or legal resident with a work first published in the U.S. and you want to initiate a copyright infringement lawsuit. If you register within three months of creating the work, you’ll have a legal presumption that your copyright is valid. And if you’re successful in a copyright infringement lawsuit, you may receive special statutory damages without having to prove any fiscal harm, as well as attorney fees. Once your work is registered, those who want to use it will be able to find information about it in the records of the U.S. Copyright Office, facilitating the process of contacting you for permission to use your work. Once you click on the category of work, the system takes you to a page with specific information about that work, what it covers and even its statutory definition. In this registration portal, you’ll be able to determine if your creation is one that can be registered under this category. You’ll also find informational videos, tips, FAQs, slide presentations and more. The USCO does a comprehensive job of providing information in its complex registration system. You’ll find its website easy to navigate. The site even includes processing times for registration applications. Tip: The USCO has a robust public catalog that you can search online. You can search by the title or name of a work or even by keyword. But keep in mind that in a voluntary registration system not all works will be registered. If you cannot locate the work you wish to use in the USCO’s registration system, you must locate the copyright owner by other means. Our U.S. 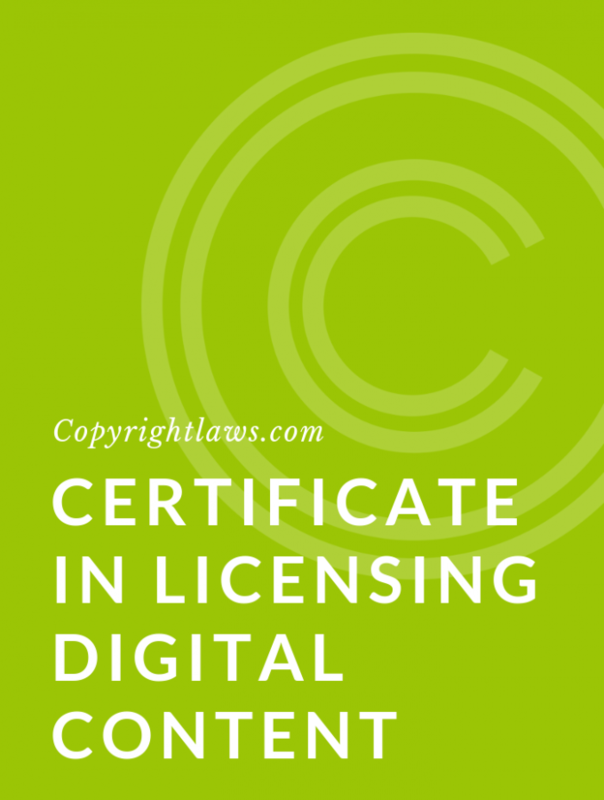 Copyright Law eTutorial is one of the five courses in Copyright Leadership Certificate program.